One of the highlights of my holiday was a trip to the nearby picture perfect town of Saint-Antonin-Noble-Val (from now on referred to simply as Saint-Antonin). 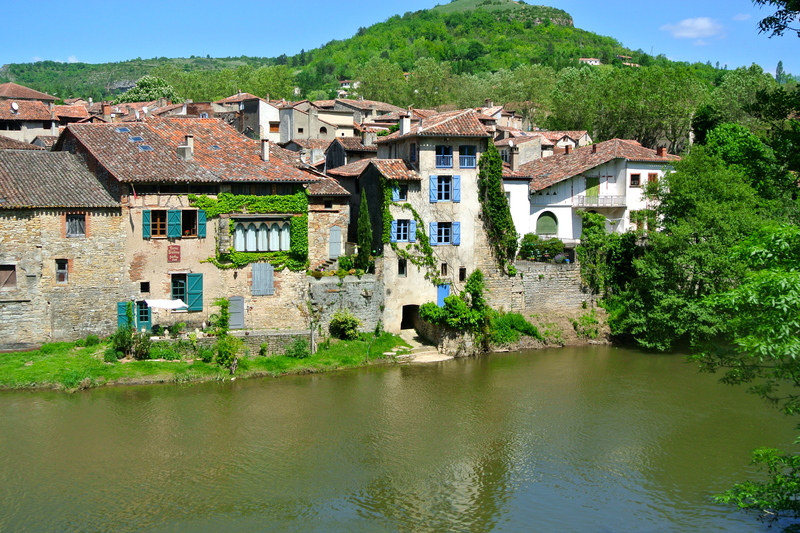 Saint-Antonin, like Lisle-sur-Tarn, is a medieval bastide town. It gets its name from Saint Antonin an early evangelist who, according to legend, brought christianity to the area and from its location in a ‘noble valley’. 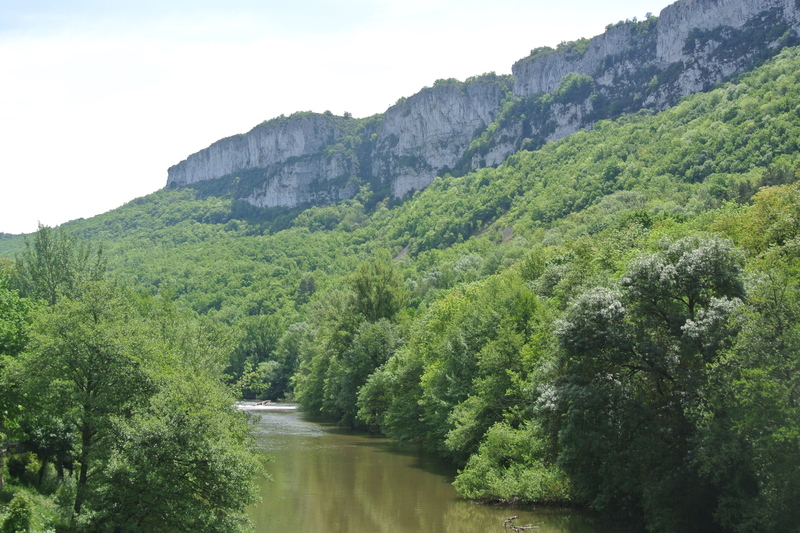 The town is on the banks of the Aveyron river and as I crossed the bridge I could see the impressive nearby towering cliffs tumbling down to meet the rows of trees which line the water’s edge. It is a beautiful place to visit especially on a sunny day when the multitude of mellow stone buildings in Saint-Antonin shimmer in the sunlight. I was there last Sunday and Sunday is market day in Saint-Antonin. 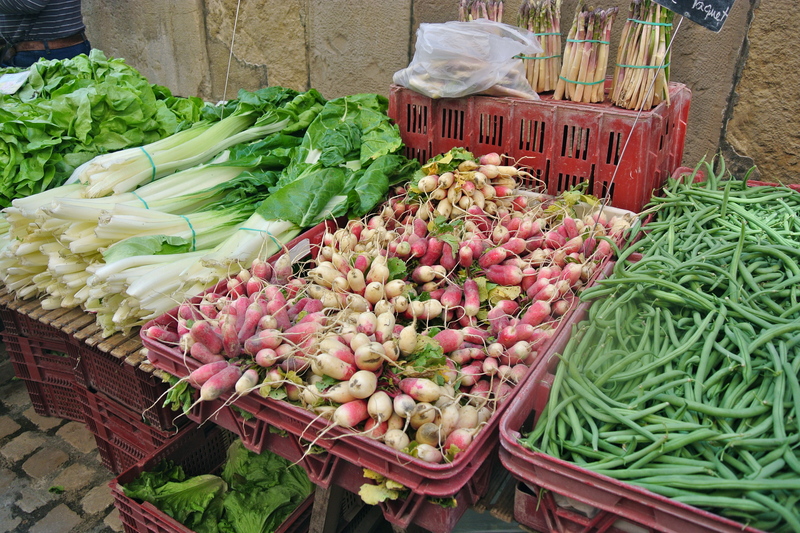 Now in France local markets run the gamut from just so-so to very good. 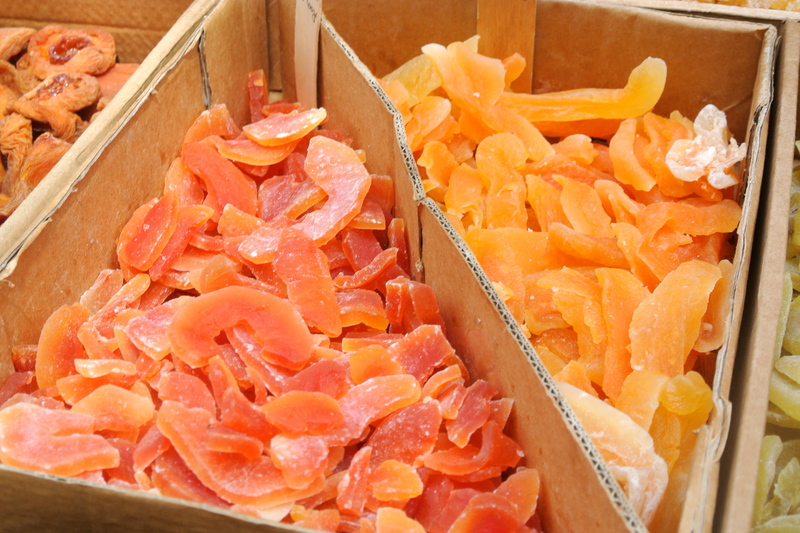 Saint-Antonin’s market very definitely tipped the scales at good to excellent. It is predominantly a food market selling a vast array of produce including: cheese, honey, foie gras, fruits, olive oil, and vegetables. But there are also stalls selling: soaps, flowers, plants, clothes, jewellery and pottery. It is the sort of place you could go with your basket in search of Sunday lunch and come away with a veritable feast. The only thing I bought, due to worry about budget airlines’ baggage weight restrictions, was a teeny tiny blue bowl from a stall selling rather lovely hand-painted pottery. 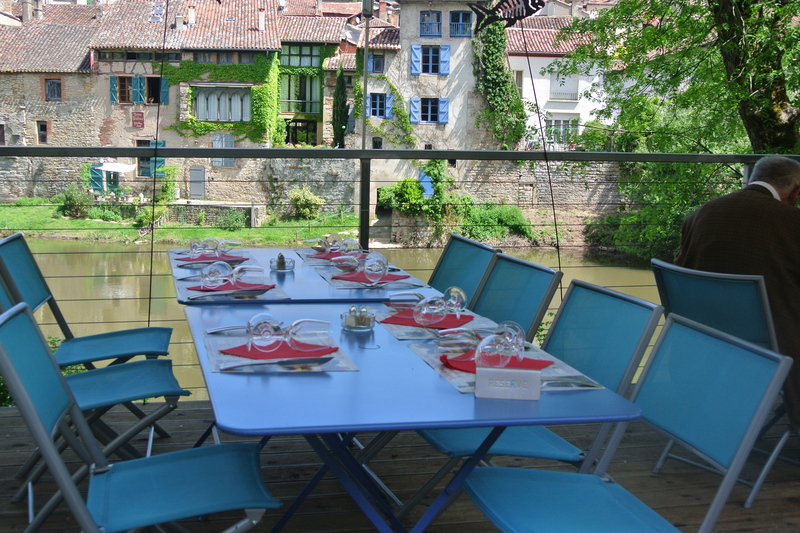 I was in France with a small group of friends so when we had ‘done’ the market we headed back across the bridge for a leisurely lunch at a riverside restaurant called Le Festin de Babette. It was warm enough to sit outside and we enjoyed a decent lunch accompanied by some of the local Gaillaic wines. Lunch over we headed back to Lisle-sur-Tarn; the sun shone until late into the evening and sitting by the pool until sundown was a perfect end to a lovely day. Sadly, since I returned home, the weather has been grey and chilly. I cannot quite believe that I need to put the central heating on at night in mid May. Roll on summer. Beautifully evocative description – I could feel the sun, taste the food and smell the things that were nice to smell. Thank you so much Deirdre for your lovely comment. Lovely post indeed. I will be down that way in mid July staying at LaPalme, near Perpignan. One can’t get too much of the region. Peaches will be in season then…. Thank you Conor for your kind comment. I hope you enjoy your stay in France in July. I do hope you don’t get notified of follow up comments – it’s fairly maddening. Do you know about unchecking the box when you are posting a comment? Yes but I am irritated by the change to it being automatically checked. Lots are irritated by it. Hopefully by going on about it, I can help to get WP to change it back. Yes I agree it’s mega irritating however the good news is that the change has now been rolled back by WordPress. (I found this info via onecoolsitebloggingtips.com). Thanks be to goodness. Great to see that WP does listen. Hi B what a lovely few days you had – well deserved. I am off to France next Friday – around Brittany- and your piece has put me completely in the mood and looking forward to the trip. I just hope the weather in France is better than here – it is quite simply cold and I keep hugging our Aga cooker! Your post has me longing for a trip.. a European trip. We have our furnaces on.. and there were wisps of snow again this morning.. imagine!! Snow in May – incredible. Hope you get to make that European trip some time soon. A lovely holiday! 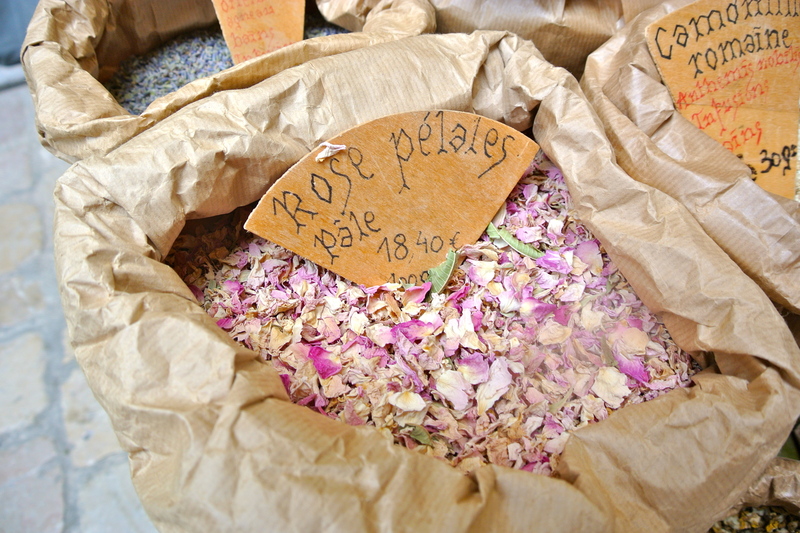 I know exactly what you mean about markets and how they differ from to town to town – I would have been tempted by those rose petals. And yes, we’ve been lighting a fire in the evenings and it’s apparently MAY. The rose petals were lovely. Fires and central heating in May what’s the world coming to! Hopefully it’s a sign that we will have a warm sunny summer. Beautiful! I love all the blue shutters on the buildings. You did a great job describing it. A wonderful visit – beautiful place, good weather, lots of activities. Perfect! Thanks Meg for your comment. It was a lovely place: it was both perfect and peaceful.